North Miami police Cmdr. Emile Hollant's 25-year law enforcement career may soon come to a crashing end as part of the fallout from the universally denounced shooting last year of behavioral therapist Charles Kinsey. 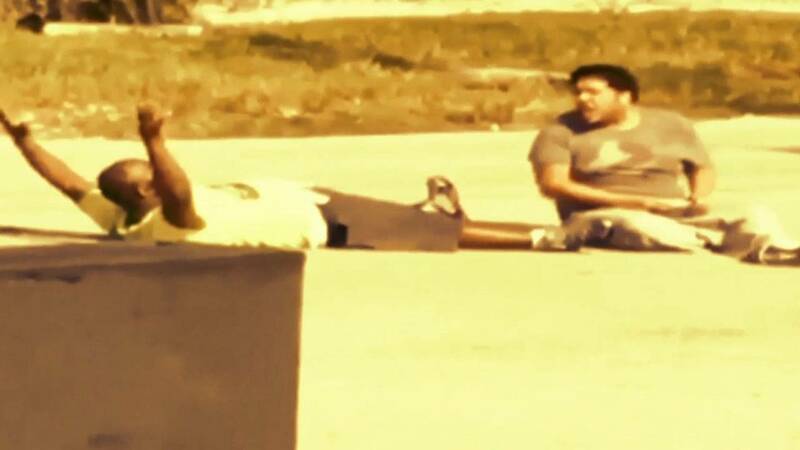 Kinsey was shot in the street with held his hands high up in the air next to his autistic client Arnaldo Rios. Hollant didn't shoot Kinsey in the leg with a rifle. That was Officer Jonathon Aledda, who has since been charged criminally with attempted manslaughter in the case. Aledda apparently believed Rios was holding a gun when in fact it was a toy truck, something Aledda's fellow officers had clearly announced on the radio prior to the shooting. Even if Aledda, a SWAT team member, believed Rios was holding a gun, it made no sense for him to shoot Kinsey, who happens to be black. Aledda told fellow officers he was aiming at Rios and missed. Hollant faces termination of his job for allegedly lying about whether or not he actually witnessed the shooting or not. He said he was initially at the scene but that, when the three shots were fired from Aledda's gun, he was a block away grabbing his binoculars out of his vehicle. It wasn't until four days after the shooting that Assistant Chief Larry Juriga alleged that Hollant had lied about that and that he had witnessed the shooting. 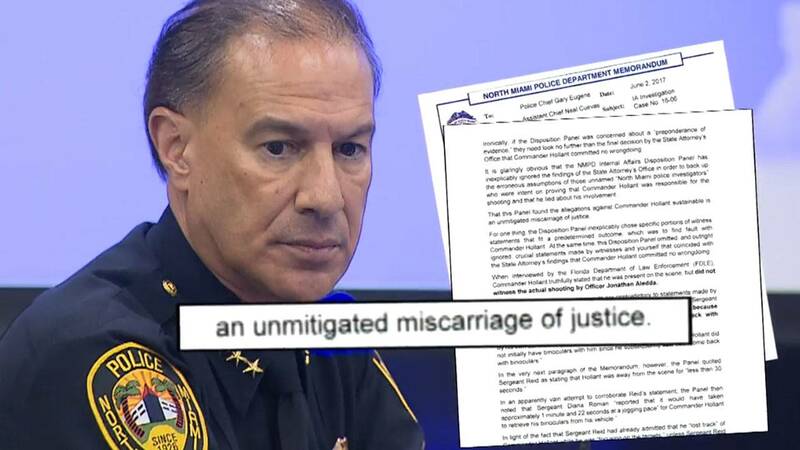 When he told then-Chief Gary Eugene that he believed radio transmissions proved Hollant lied when he claimed he didn't witness the shooting, the commander was suspended with pay. The alleged chief culprit, Aledda, was suspended with pay, a fact Hollant backers contend proves the fix was in on Hollant from the beginning. The radio transmissions show that Hollant, about two minutes prior to the shooting, said on the radio that it appeared Rios was "loading his weapon." But Hollant was more than 150 feet away. Officer Alens Bernadeau was closer to the scene and soon clarified that Kinsey was saying it was a toy. 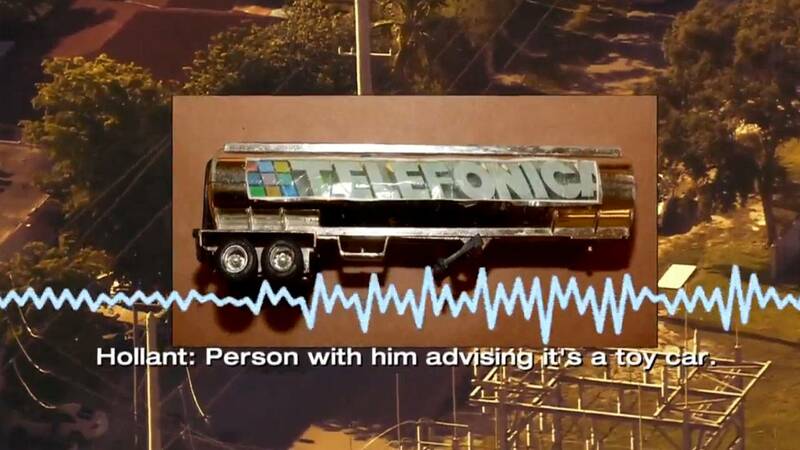 He would also announce on the radio well before Aledda fired that he could see it was a toy. "I have a visual, it does not appear to be a firearm," Bernadeau said on the radio. Hollant said that after Bernadeau announced Rios was holding a toy he decided to run to his vehicle and get his binoculars for a better look. "I didn't know what I had at the time. It could have been a hostage situation," Hollant testified. "I did not know that the kid was autistic. All I knew was there was a man with his hands up. (I) did not know he was trying to prevent this guy from killing himself and something happened. When I heard, 'It's a toy, it's a toy,' I decided to run back to my vehicle so I could get my binoculars." It was while he was doing this, he said, that he heard a "three-round burst" of gunfire and, after waiting a couple of seconds, radioed, "shots fired." He said he then ran back to the scene to see that Kinsey had been shot. The state attorney's office conducted an investigation and cleared Hollant, saying the allegation he was lying was due to "miscommunication" and that Hollant had in fact not lied. Eugene testified that he believed he'd been misled by Juriga and that he too believed Hollant was truthful about getting his binoculars. In numerous sworn statements, not a single officer could definitively place Hollant at the scene when the shots were fired. Sgt. Milton Reid even testified that Hollant, who'd been promoted just days before from the rank of sergeant, left the scene and returned with his binoculars. "I lost track of him because I'm focusing on the targets, and then I see Hollant come back with binoculars," Reid said. Reid also, however, alleged he saw Hollant look through the binoculars before the shooting took place. It was a contention Reid didn't mention in his initial interview directly after the shooting. In fact, when asked about officers he'd seen prior to the shooting taking place, he named two other officers but didn't name Hollant at all. Despite the scant evidence, the IA disposition panel sustained the allegation that Hollant was untruthful. "It was determined that Cmdr. 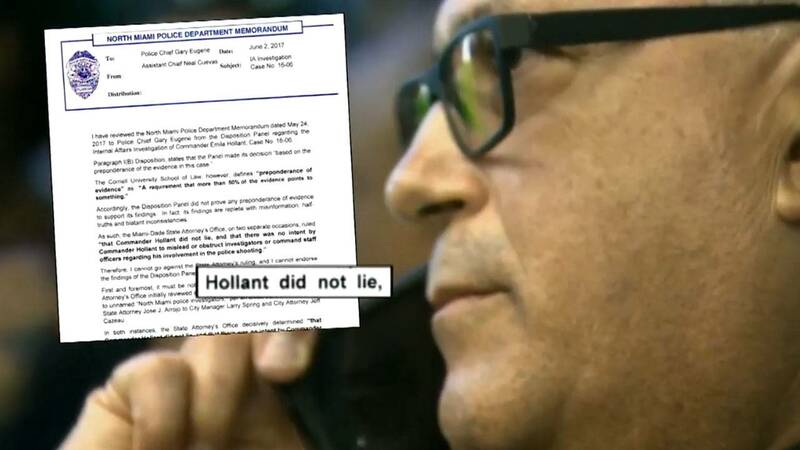 Hollant committed administrative obstruction of law enforcement investigation by way of false statement," announced North Miami City Manager Larry Spring at a community meeting last week. 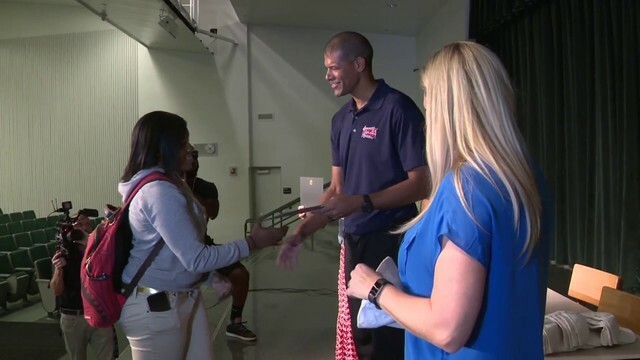 It was a finding with which North Miami Assistant Chief Neal Cuevas vehemently disagreed. In a June 2 memorandum, Cuevas called the IA investigation into Hollant an "unmitigated miscarriage of justice" that was "replete with misinformation, half-truths and blatant inconsistencies." 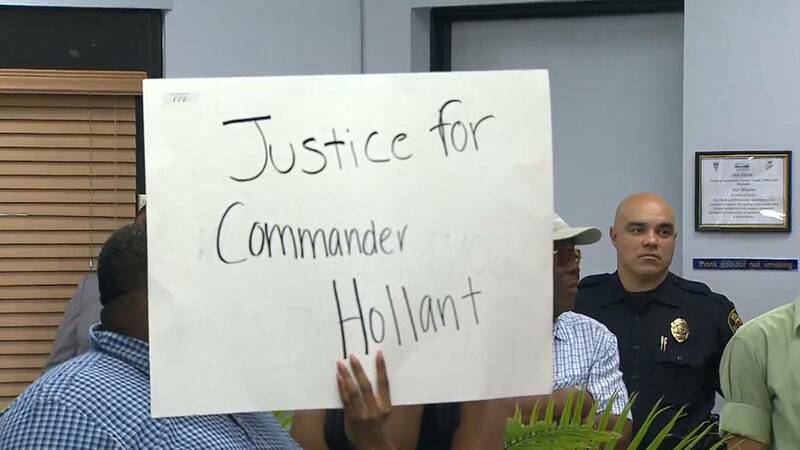 Meanwhile, Hollant's direct supervisor, Major Tim Belcher, recommended that based on the findings, Hollant should be demoted back down to sergeant, in part based on the fact that Hollant, whether he saw the actual shooting or not, should have announced himself as a witness. "Commander Hollant should have taken charge of the direction of this critical incident,” Belcher wrote. Despite the fact that Cuevas believed the investigation was a sham and that Belcher felt Hollant should only be demoted, Juriga, who made the initial allegation against Hollant that was contradicted by the state attorney's office, made the decision to fire Hollant while Eugene was on medical leave and he was serving as acting chief. Eugene was also informed that he, too, was being fired. He said Spring, the city manager, told him the department was going in another direction. But then came media reports that the city was claiming he had contradicted himself in sworn statements regarding Hollant, telling prosecutors that Hollant had told him the truth but stating in the IA investigation that Hollant had lied to him. But Eugene told Local 10 News that statement was taken out of context to be used against him and that he was describing how he felt at the time the allegation was made against Hollant just days after the shooting. Indeed, the question preceding his statement was in the past tense, referring to when he "went to the city manager." 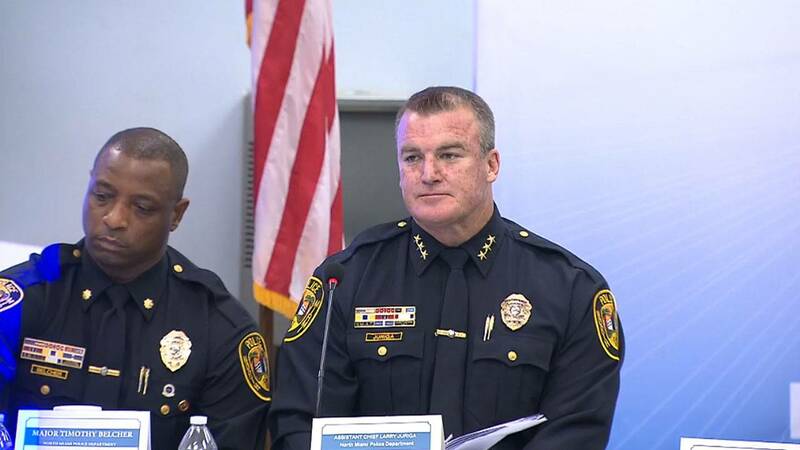 "When you said that you went to the city manager with this, you said, and I wrote it down, you said that you probably moved to right with your comment on this," Sgt. Diana Roman said. "So it is fair to say it was your interpretation..."
It was at that point Eugene jumped in to say he felt at the time that Hollant had lied. "That he lied to me," Eugene said. "The commander completely lied to me." He said he doesn't believe Hollant lied, but said he believes Hollant, as commanding officer on the scene, should have had someone else retrieve binoculars and that Hollant should have been interviewed as a witness after the shooting. But he said those transgressions, while they may have justified some form of punishment, it didn't warrant termination. City activist Stephanie Kienzle, who was the first to report on the Cuevas memo on her website VotersOpinion.com, said she believes Juriga cooked up the case against Hollant as a "power play." It's a sentiment shared by many who attended last week's community meeting on the firings led by Spring and attended by Juriga, with some calling it a "vendetta" and demanding Hollant be given his job back. "You have misled the council and you're misleading the community," resident Raymond Emmanuel said. "These people were against the commander from the beginning; they're just trying to cover this up and cover their butts," another resident, who declined to be named, said. Juriga refused to comment on the case. "Out of respect to Cmdr. Hollant, let's let the process continue," he told Local 10 News investigative reporter Bob Norman. Juriga said he would "be more than happy" to speak with Norman after the process is complete. "I think his attorney would argue that he hasn't been shown any respect in this process," Norman said. "That's his right to argue that," Juriga said. "That's fine." Hollant's attorney, Michael Joseph, said he believed his client was "set up" and was being played as a "patsy" in the shooting. He has already filed an EEOC complaint on Hollant's behalf and is preparing a civil suit. "He's been branded as a dirty cop," Joseph said.